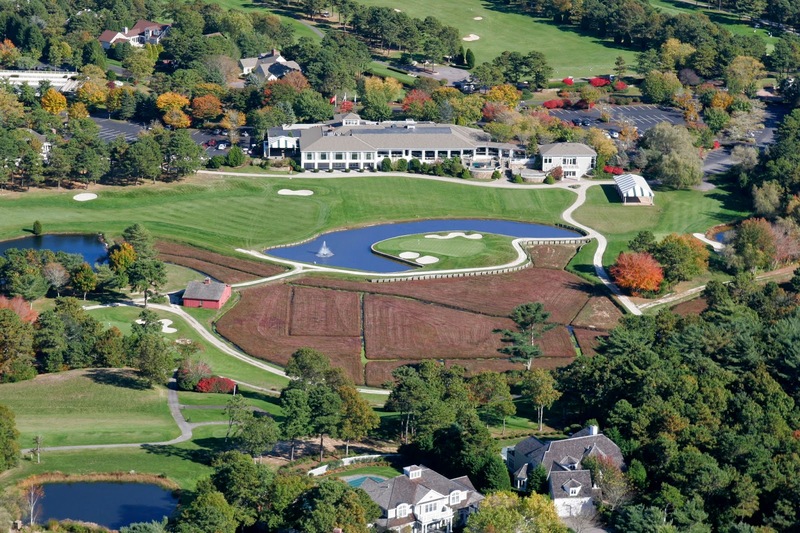 Last week, I had the privilege of traveling down to Mashpee on Massachusetts’ Cape Cod and meeting the Executive Chef of one of the most illustrious private clubs in New England – a club known to the world simply as Willowbend. The simplicity of the name should give you an idea how well-established the club is. Like Cher. Or Madonna. But unlike Cher or Madonna, this icon of the industry hasn’t worn thin and irrelevant with age (seriously, ladies, give it up). If anything, Willowbend has only become better over the past 20 years. And the recent addition of the Swiss-born Italian Chef Massimiliano Mariotta is the perfect example. 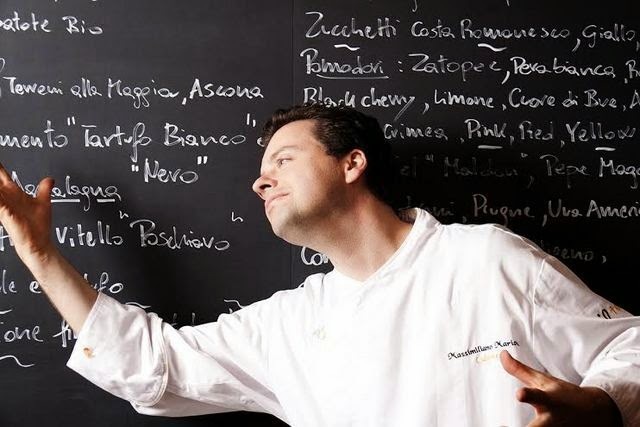 Meeting Chef Massimiliano is an experience in-and-of itself. His overflowing passion for what he does is clear from the moment you meet him. When the the conversation goes culinary, an electric spark pops into his eyes and clearly travels throughout his body as he speaks, and infuses the food he creates. It's a contagious excitement: when you talk food with Chef Massmiliano, you'll walk away knowing more - and caring more - about what goes into your meals. Being the Executive Chef at a club as sprawling as Willowbend is no small task – the man oversees the property’s main restaurant, a poolside Italian café, plus the catering for a multitude of weddings and private events held at the club’s resort-style pool, grand ballroom and on the golf course. 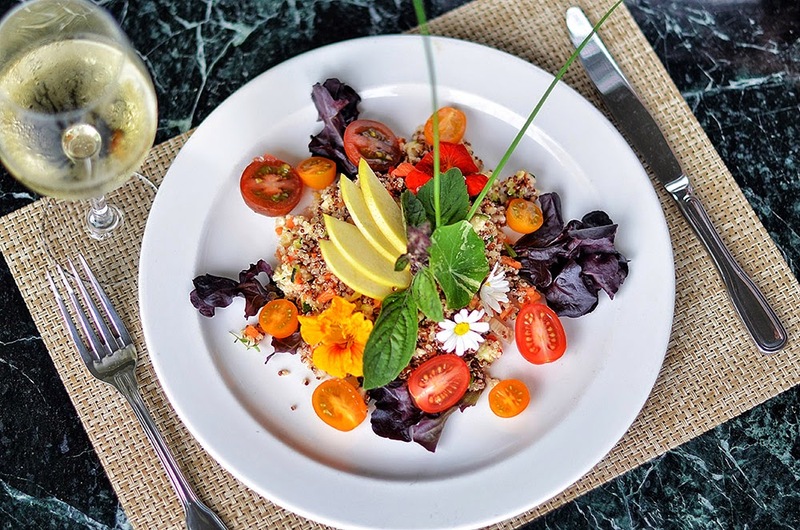 And the Chef doesn’t make it easy on himself – he’s so dedicated to fresh, sustainable, responsible, preservative-free dishes, he grows his own herbs behind Willowbend’s Clubhouse and owns his own farm in nearby Marion, Ma. Combine that dedication with his culturally diverse Swiss background, and the result is some of the freshest, delicious, and most unique dishes that can be found on Cape Cod. And his Quinoa Salad recipe is no exception. A chef this dedicated to getting every detail right, from how the food is cultivated to the artful presentation of his creative dishes, is bound to use some ingredients you won’t have sitting at home. Yes, I’m talking about the edible flowers, which in this case serves more as a garnish than a relevant flavor or flavor-enhancing aroma. So, in my humble, untrained opinion, you can forgo the edible flowers and still have a slightly citrusy, delicious and refreshing – or dare I even say REJUVENATING – summer salad to guiltlessly share at your next summer outing! Bring quinoa, salt, and 1 ¼ cup water to a boil. Reduce the heat to medium-low, cover, and simmer until quinoa is tender, about 12 minute. Remove from heat and let stand covered for 5 minutes. Fluff with a fork. Whisk lemon juice and garlic in a small bowl. Gradually whisk in olive oil. Season to taste with salt and pepper. Let quinoa cool, transfer to a large bowl, mix in the carrots, apple, celery, and red pepper. Now mix in half of the dressing and the parsley. This dish can be made one day ahead! 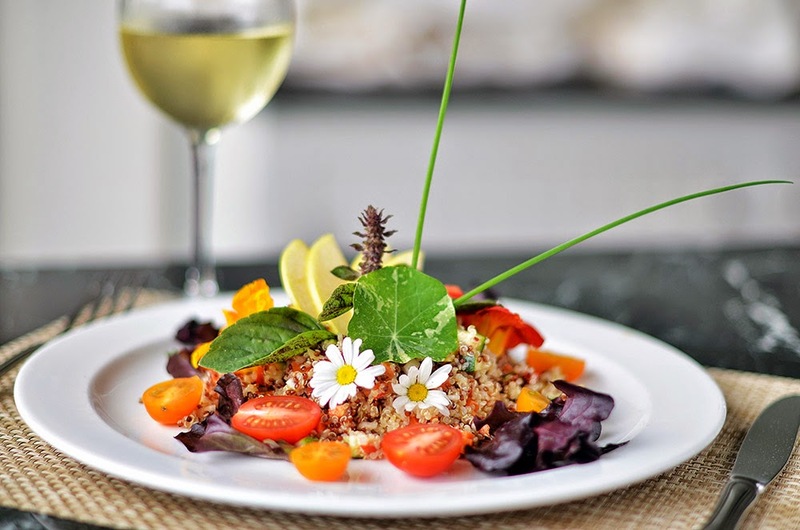 Before serving, add remaining dressing and garnish with edible flower.